An experiment inspired by the social media drawing marathon known as "Inktober". 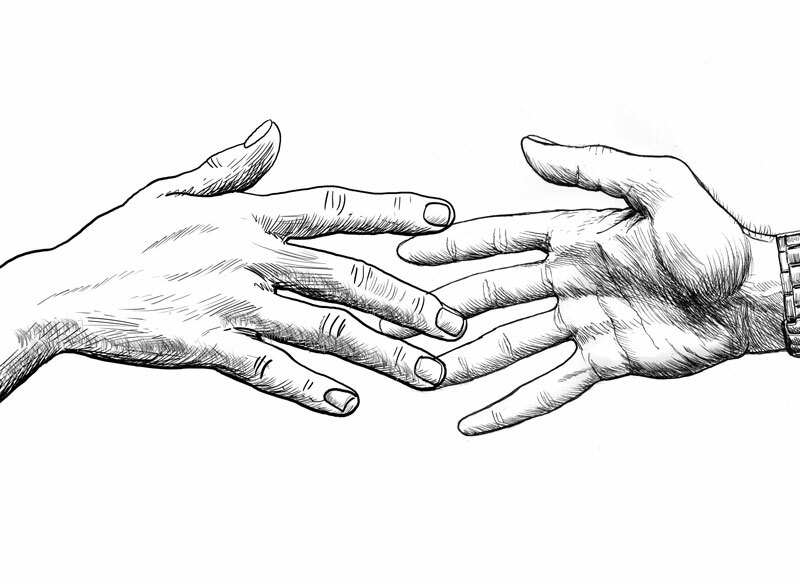 I drew the hand on the left with my Wacom Cintiq. ; the hand on the right was ink on paper. Both are "hand drawn" so-to-speak, the left hand was recorded by the computer as it was drawn, the other was scanned from the drawing on paper.